Lincoln’s Labour party is hoping to regain control of the City Hall this year, after losing the majority seats to Conservatives since 2007. Councillor Ric Metcalfe, Leader of the Labour Group on the City Council, said in a party message that the local elections on May 5 “will be one of the most important for some years”. “Labour have a real opportunity to regain control of the council and end the stalemate which has existed since last year, when the sole Liberal Democrat on the council voted to install a Conservative administration, despite the fact that the electorate had given no single party a mandate to govern at 16 seats to Labour, 16 Conservative, and one Liberal Democrat. Metcalfe represented Glebe ward on the City Council since 1982. He served as Deputy Leader of the council for 12 years and was Leader from 1999. 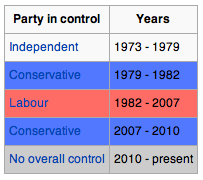 But Labour lost control of the City of Lincoln Council in 2007, after more than 25 years of governing the city. When Metcalfe lost his Council Leader position in 2007, he wrote for the New Statesman blaming “Tony Blair’s idiotic decision to announce his intended departure so far in advance”.